When multi-intrumentalist John Medeski and guitarist Will Bernard would cross paths during the New Orleans Jazz & Heritage Festival, they’d spend late nights making exploratory funk-rock. Dirty Dozen Brass Band members Kirk Joseph (sousaphone) and Terence Higgins (drums) would often join in, as they do here, formulating a rugged yet slippery beat around Medeski’s panoramic keyboards and Bernard’s varied, assertive leads and taut rhythm parts (think Grant Green meets Elmore James and Robbie Robertson). 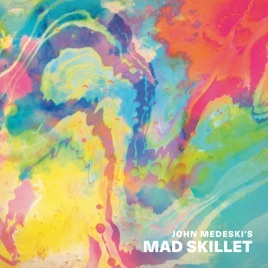 When he’s not letting loose on acoustic piano (“Piri Piri,” “The Heart of Soul”), Medeski coaxes all manner of unexpected tones and abstraction from the organ, Rhodes, and even mellotron (mimicking bass clarinet on a killer cover of Sun Ra’s “The Golden Lady”).